Do you spend a lot of time worrying about what’s right? Do you worry if you’re making the right decision? Wonder if you’re doing the right thing? Struggle with making the right choice…? So do I! Being a perfectionist is partly to blame for this “Is it right? !” curse. I’m aware of that. Maybe you are, too. I’ve learned that one way to battle this insanity is through team work. You can’t do things alone. You’ll never be perfect. You can’t get every single thing right. And sometimes you need a good girlfriend to tell you that. And other times, you need a teammate to pick up and do where you can’t. The Brown Betties – both LA and Prague – are some of the most notorious girlfriend-teammates a girl could have. In January, I was blessed with an opportunity to speak at the American School of the Hague in the Netherlands where I gave a speech to the high school and middle school students on “Being Great”. I was also truly gifted to teach some awesome workshops including one with the school’s dance team. Our session was run by the talented dance student, Noga Arad (who is very much on her way to being a fabulous choreographer. Watch for her!) I taught the girls and guys in the class our Bettie signature dance, “Hey Joe”, which was a fabulous first for me in many ways. It was the first time teaching this choreography to a large group of students and the first time to young gentlemen! We had a great time modifying the choreography and as always, I implored them to find what in the dance works for them. While we all learned from each other, I spoke to them about the trials and tribulations of being a creative, of being a business woman, of being someone with hopes and dreams and being someone who worries about getting it right. Meanwhile, back at home in Prague, the Betties were booked on a great gig; a private event at the gorgeous Royal. I couldn’t be in two places at once, I couldn’t figure everything out and make it all work, so the girls stepped up to make the Betties work. As they always do. 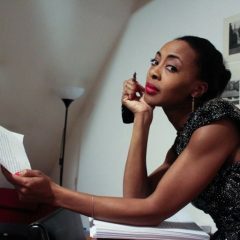 One took on managing rehearsals, another worked out our costume look and our newest Bettie (Yazz, pictured above) knew the venue and helped the girls navigate the venue the day of the event. They got it right. 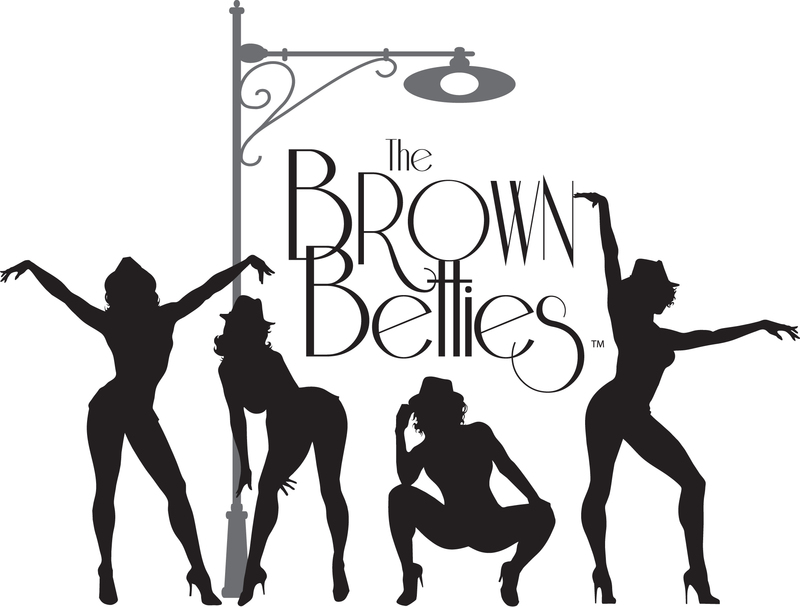 Brown Betties as a brand is all about vintage. For this event, the client wanted a 20s look. Bettie Amanda created a look for our Betties. With Bettie Marina modeling, here is Amanda’s tutorial on how to do a 20s vintage hairstyle that could be great for everyday or a special vintage wedding look. We love it! By the way, “Fever” is playing at my café while I write this. I take that as a sign, because it is one of my favorite songs. Whenever I hear it, I know I’m in the right place, at the right time, doing the right thing. I wish you right-ousness today and always…and when you can’t achieve it alone, get thyself a team so that you can all rise to the occasion. ← Has Being Sophisticated Gone Out of Style?